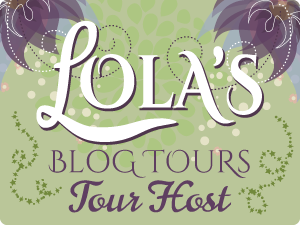 Please welcome Angela Adams to Hearts & Scribbles. Her debut novel, MAGIC MOMENT was released by Crimson Romance last October. Huge congrats on your debut!!! It’s such a special time for a writer. I can’t wait to hear more about it. But first, Angela, could you tell us a little about yourself and your writing journey? Jennifer, thank you so much for inviting “Magic Moment” and me for a visit. I follow your blog – especially “Weigh-in Wednesday,” and I’m delighted to have my novel featured here. I’ve been writing since I was a little girl. English/Composition, now known in our Philadelphia schools as Language Arts, was my favorite subject. I used to write stories in a copybook and give the copybook to my grandmother to read. She bought me my first typewriter. As an adult, I’ve written on and off for years. After having several short stories published, I thought the time had come to try writing a novel. MAGIC MOMENT is an intriguing title, could you tell us a little about the book? The title came while listening to the radio. I was trying to think of a title, someone said “Magic Moment,” and that’s what I typed. I thought a publisher would want to change it, but my editor at Crimson Romance thought “Magic Moment” clicked with the premise. I always build a story around characters. So, I got this idea for a hero who appeared self-interested and brash, but was actually kind and sensitive. And, a heroine who just couldn’t seem to find “Mr. Right” which was all she wanted, a loving husband and a family. What was your inspiration for this particular story? I got the idea for my hero, Chase, because there are many people out there who aren’t what they seem. The concept of Laura popped in my mind when a colleague of mine mentioned that she wished she didn’t have to work. She had missed her child’s first steps – they’d been taken in day care. She has two daughters and would be happier if she had the time to be more involved with their school. What kind of research did you have to do in order to write this book? Well, I believe in the saying, “write what you know.” So, I used Philadelphia where I live. The small towns of Magic Lake Island and Sea Tower are a combination of the New Jersey shore – where I vacationed as a child – and the tiny town in Vermont where I went to college. Can you tell us a little about the next book? I’ve always been superstitious about discussing a Work in Progress. 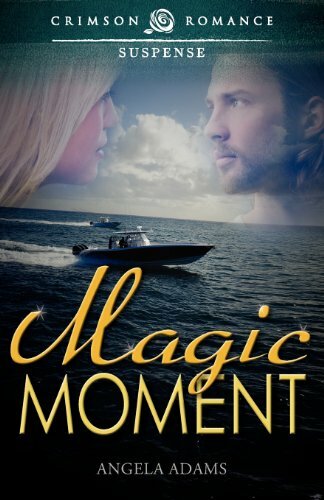 My mom didn’t even know I’d written “Magic Moment” until she saw the book’s cover. But, I can tell you that I’ve been working on trying to expand one of my short stories into a novella. So, we’ll see how that turns out. While I’m waiting for the July release of “Rancher to the Rescue,” I’m reading a romantic suspense from another one of our FTHRW members, “Dangerous Curves” by Morgan K. Wyatt. Rock – or more specifically Springsteen and Bon Jovi. Thanks Angela for hanging out with us. Again congrats on your debut. We wish you all of the best! Angela Adams writes and reviews contemporary romances. Her work has appeared in Romance at Heart, Oysters and Chocolate, and Long and Short Reviews. In December 2011, Whimsical Publications published an anthology, Winter Wonders. Ms. Adams’ short story “Burgers and Hot Chocolate,” was among the collection. She is a member of Romance Writers of America and the online chapters, From the Heart Romance Writers and Elements of RWA.